"Getting Amtrak service back on track has been a priority for me since I've taken office. Many people have worked to bring us where we are today," Stadelman said. "I am excited to be part of the final push to make Amtrak service a reality. For too long, the Rockford community's needs were ignored. No longer. Our growing, vibrant city boasts tremendous transportation opportunities and the addition of passenger rail service to and from Chicago enhances the amenities our community needs." 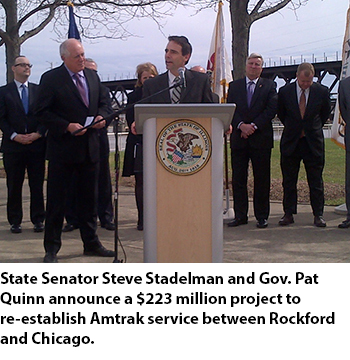 Governor Pat Quinn announced a $223 million state capital investment that will create hundreds of jobs and restart Amtrak service between Rockford and Chicago beginning in 2015. After two years of discussion, the state of Illinois has decided to switch to a new route, utilizing tracks owned by Metra and the Union Pacific Railroad. The new northern route was chosen after lengthy negotiations with the Canadian National Railway, whose tracks were originally chosen for the service. Switching to the new tracks will ensure that service begins in 2015 and isn't held up by continued delays. 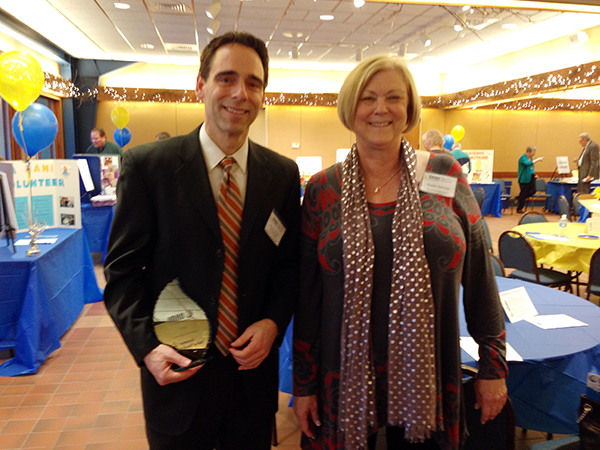 Congratulations to Senator Steve Stadelman who is the recipient of our 2013 Get to Know NAMI legislative award. Senator Stadelman earned this award when he and his staff continually step up to help members of our community who have had issues with mental health care. Thank you for all you do. Last week, Stadelman passed legislation that would ensure the Rockford area would still have adequate mental health-care services after the closing of Singer Mental Health Center. 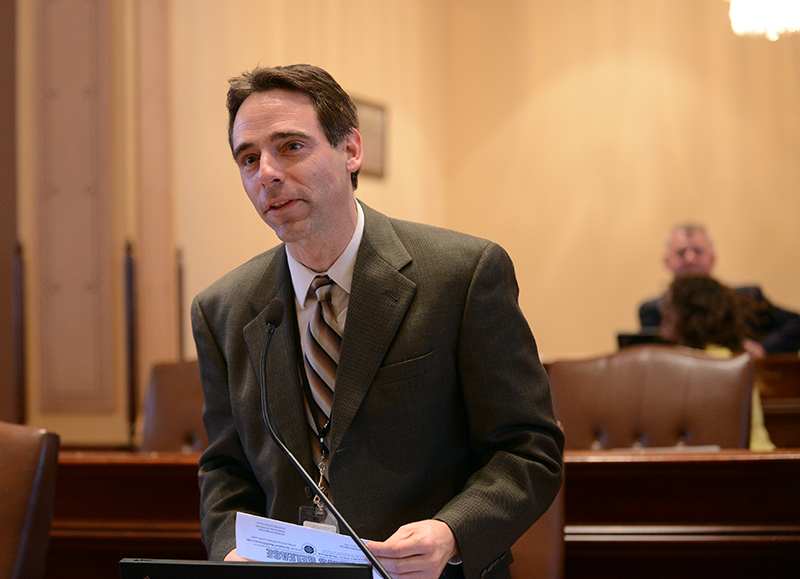 SPRINGFIELD – In response to the recent closing of Singer Mental Health facility, State Senator Steve Stadelman (D-Rockford) is sponsoring a measure to make sure that the Rockford community would still receive sufficient mental health services. "I felt we needed to make sure that the state is still providing adequate services to mental health patients in our community," Senator Stadelman said. The proposal allows the state to use proceeds from the sale of closed facilities to fund mental health services in the area where the closed facility is located. This follows legislation passed last fall that could potentially put Singer Mental Health facility to new use and back on property tax rolls. "This is the second key reform I have sponsored dealing with communities selling state facilities. Now, not only will areas be able to sell shuttered facilities, they can also use the proceeds to fund community-based care." 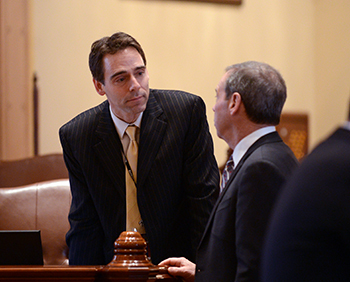 The measure, SB 822, passed the Senate with bipartisan support and now moves to the House for further consideration.